Foreign-born priests have always played a significant role in America. Only from 1940 to 1960 did the church produce enough native-born priests to serve its parishes. In the past, those priests usually came from Europe, most notably Ireland. In the future, most of the world will be served by priests from Asia, Africa, and Latin America, particularly India and Nigeria. Sixteen percent of the priests serving in the United States since 1985 are foreign-born and the number is rising. But many Americans prefer not to have them in their churches, saying the language and cultural differences are too great, and the screening isn’t sufficient. International Priests in America studies this phenomenon from the perspective of parishioners, lay ministers, diocesan leaders, and priests. This groundbreaking book is guided by two questions: Should the Catholic Church in the United States bring in more international priests? If so, how should this be done? Dean R. Hoge, PhD, teaches sociology at the Catholic University of America, Washington, D.C., and has co-authored five surveys of American priests. His recent books include The First Five Years of the Priesthood and Evolving Visions of the Priesthood, published by Liturgical Press. Aniedi Okure, OP, served as Coordinator of Ethnic Ministers at the U.S. Catholic Conference from 1995 to 2001. His main focus was international priests and he was the staff writer for Guidelines for Receiving Pastoral Ministers in the United States. The authors do a fine job of laying out the primary arguments, both pro and con, surrounding the issue of international priests. . . . I strongly recommend the book for anyone who wants to gain a broader understanding of this complex issue. In addition to bishops and diocesan staff who are responsible for priest formation, assignments, and evaluation, as well as planning and pastoral services, this book should be read by parish leaders and staff who work with or are about to receive an international priest. They will all gain valuable wisdom about how to enhance the ministry of these workers in the vineyard. From the very beginning, Catholics in the United States have welcomed and relied upon the ministry of priests from other countries; but this could be the first detailed sociological study of such priests. Since it looks as if we will come more and more to depend upon international clergy, this work is timely, valuable, helpful and deserves serious attention. The practical and pastoral nature of this issue commends this book to both parish libraries and to academic libraries that support programs in pastoral formation, whether clerical, lay, or both. The migration of people across international borders is one of the greatest of all contemporary 'signs of the times' and priests are definitely part of it. Today's reconfiguration of priestly ministry is not only or mainly a matter of one's theology of ministry and church, a theoretical issue. What is really happening on the ground? Hoge's and Okure's remarkably comprehensive and candid work goes much farther than any other currently available research in describing and explaining one of the more notable and vexing aspects of today's priesthood in the United States and beyond. Whatever be the policies ultimately embraced by bishops, pastors, and lay leaders in response to this issue, International Priests in America is a much-needed and long-awaited resource for finding the way ahead. 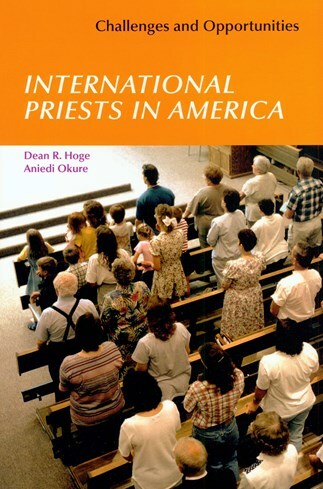 The authors recognize that the issue of international priests is a hotly debated topic in the U.S. Church and the book is carefully written to present social science analysis and to avoid ecclesiological and theological judgments. The book looks at these concerns from the perspective of parishioners, lay mionisters, diocesan leaders, and priests. Two questions are at the core of the study: Should the Catholic Church in the United States bring in more international priests? And if so, how should the process be done? The book is thought-provoking and a discussion starter for all involved in any way in ministry. The originality of the research and the depth of the profile provided places International Priests in America among the most important books about the priesthood in the United States today. The book is thought-provoking and a discussion starter for all involved in any way in ministry. Books by Dean Hoge and his collaborators are like musicals by Stephan Sondheim or Andrew Lloyd Webber-a masterful and engrossing presentation of the material that leaves you wishing for more-and International Priests in America is no exception.